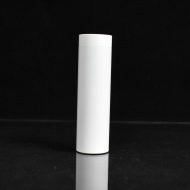 The SZX Competition Mod is a purpose built competition mechanical mod. From the ground up, every feature was tuned for complete reliability and maximum conductivity. 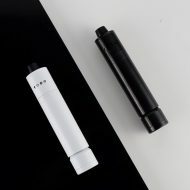 Hybrid 510 connection, battery short protection sleeve, positive locking switch, high flow battery vents, interchangeable sleeves, different materials like copper and stainless, silver plated clutch contacts, reverse battery protection… and no battery adjustment! 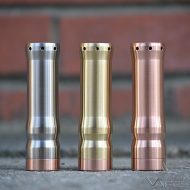 The ShortyX is a purpose built competition mechanical mod. From the ground up, every feature was tuned for complete reliability and maximum conductivity. 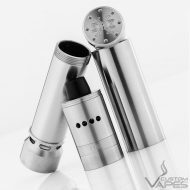 This kit includes LE White Stainless Shorty Mod & Mini RDA. The Littlefoot RDA by WAKE is a 24mm squonk-ready dripping atomizer with a timeless, classy aesthetic. Noteworthy features include an intuitive two-post clamp design, a massive 8mm juice well, and a super comfortable frosted acrylic 810 Drip Tip. The adjustable side airflow is notably smooth and efficient. Consistent with WAKE’s previous releases, the focus is clearly on flavour and aesthetics. 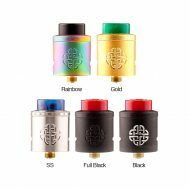 The Littlefoot RDA’s hard anodized aluminum cap, available in a rainbow of matte colors, blends with mirrors of gold plating to create an unrivalled finish. 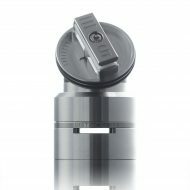 Designed by AmbitionZ VapeR and Hellvape the Aequitas RDA adopts innovative upside down barrel for 2 optional airflow. The four-post build deck makes building easy and fast. 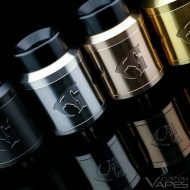 Hellvape is back with a new flavor-chasing RDA designed by Dukun Vape, an Indonesian vape promoter. 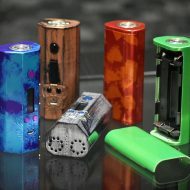 Following on the heels of the Dead Rabbit and the Dead Rabbit SQ, Hellvape is taking this one in a new direction. The Anglo RDA seems to take its name from the angled airflow system it employs. GAS Mods GR1 BF RDA is designed for great tasting flavour, high end with affordability in mind. Integrating an impressive highly advanced single coil version in 22mm diameter. 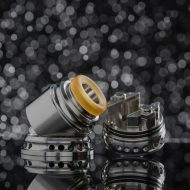 GR1 RDA constructed with a highly intuitive airflow system – the airflow control accessories, which come with two different sizes of airholes. Along with bottom BF Pin and colourful caps are made of POM material. 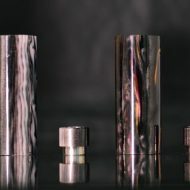 POM is characterised by its high strength, hardness and used in precision parts requiring high stiffness, low friction, and excellent dimensional stability. 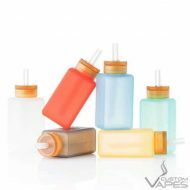 dotBottle Set for dotSquonk provides a wide range of our classic colours you won’t reach for the wrong flavor. 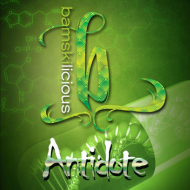 Collect multiple bottles to trade your ejuice with your friends. The proprietary dotBottle boasts a 10ml e-juice reservoir with an ergonomic feel and shape that perfectly sits in the dotSquonk. Made by popular demand introducing the Shorty X Mod by Sub Ohm Innovations. A little shorter and a sleek little sweeter! 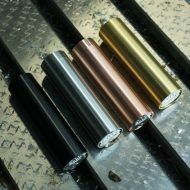 Finishes: Copper, Black Stainless, PVD Gold, and Stainless Steel. 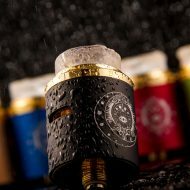 The SZX Mini is a pint sized version of the SZX RDA featuring the same post system as well as a smaller profile making it one of the most versatile and reliable RDA’s ever created. As well as being incredibly easy to build the X-Series post system will secure any size or alloy of wire as firmly as possible making sensitive builds like temp control a breeze. The Mini features adjustable airflow capable of anything from a tight flavorful draw up to cloud chasing heaven. 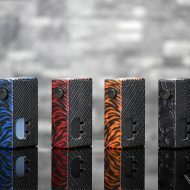 Did we mention the Mini is squonk ready? 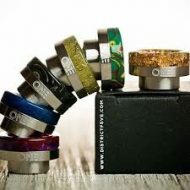 Available As: Gold, Rose Gold, Stainless Steel, Black Stainless. The BusBar batteries were created with one specific aim – to provide the most powerful battery possible while exceeding the industry standards for quality and safety. The BusBar batteries were also created with another idea in mind – honesty. Many battery manufacturers exaggerate their ratings to make their product more appealing… even though it gives the user a false sense of performance. You won’t find any of that nonsense here! All BusBar batteries have been thoroughly tested by third party professionals to insure that they meet or exceed the ratings specified on the cell. Performance, accuracy, and safety. 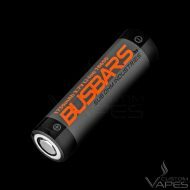 BusBars is a brand you can trust.